These online resources provide you with reliable information. You will need a Library Card for access. A few are only available from inside the Library, as noted. For a directory by subject, start at Online Resources Subject Guide. You can also access resources with the A to Z list. Discover our favorite children's books, matched to your child's interests. Engaging resource for children in grades pre-K through 3 will help early readers develop and practice essential reading skills. Also available in Spanish. This resource will NOT work with Internet Explorer. Explora provides reliable, high-quality articles from the world's leading magazine and reference books. You can view a tutorial here. Provides over 8 million songs and 15,000 music videos for streaming and download. This easy to use service is available on your computer, with apps also available for Apple and Android mobile devices. Fresno County Public Library provides Fresno County residents with cards in good standing 5 downloads per week and 5 hours of streaming per day. Find and share the books you love in this online community. Recommend books, compare what you’re reading, keep track of what you’ve read and would like to read, find your next favorite book, form book clubs and much more. Looking for a great new book, film, or album? Sign up for our NextReads e-newsletters and get insightful recommendations just for you! Information on over 260,000 fiction and non-fiction titles for adults, teens and kids, plus lists of award-winning books, Book Discussion Guides, BookTalks, Read-alikes, Recommended Reads and more. A resource for kids (and the adults who work with them), containing information on book titles designed to support kids’ pleasure reading as well as school curriculum. Download eBooks and eAudiobooks to your Windows or Mac computer or transfer them to any number of compatible portable devices. Welcome to the world’s largest newsstand. Browse numerous magazine titles and download them absolutely free. View them on your PC, or on the go from virtually any mobile device. Zinio app users: Please replace your Zinio app by downloading the new RBdigital app from your app store. 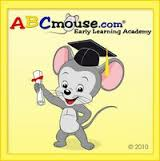 Improves an individual's listening, speaking, reading and writing skills through a simple to follow, proven curriculum. No computer experience is necessary. The English Language Learner Reference Center is a multi-purpose online information resource designed especially for secondary and young adult English language learners (ELLs) in school and public libraries. Procitizen offers preparation for the Naturalization Test. Preparación para el examen de ciudadanía. Articles on company and industry news and trends. Company profiles, country economic data, industry information and market research. Health and wellness information including articles, images, videos and diagrams. Available in 17 languages. Learn computer basics and benefit from job readiness skills specific to Fresno. Resources in 8 subject areas, covering the complete job life cycle. Get investor alerts, check the background of investment advisors or submit complaints about brokers. Database of more than 6,500 foundation and public charity programs that provide support for students, artists, researchers, and other individual grantseekers. AVAILABLE AT CENTRAL BRANCH ONLY. Premier online tool for non-profits looking for grants with profiles of more than 100,000 U.S. grantmakers and 2.4 million grant records. AVAILABLE AT CENTRAL BRANCH ONLY. Foundation Maps is Foundation Center's premier data visualization tool and the easiest way to see who is funding what and where around the world. AVAILABLE AT CENTRAL BRANCH ONLY. The Fresno Community Scorecard is presented by the Fresno Business Council and ValleyPBS, a partnership formed to raise awareness about important leading indicators for building a healthy, prosperous and sustainable community. The Library has more tools for finding grants and non-profit resources including one-on-one training. An investor-friendly website setup by the SEC. It introduces key investing concepts and useful information for new and experienced investors. Full text articles, legal forms and detailed “how-to” instructions to address a wide-range of legal issues for consumers and small businesses. Business and residential directories including phone numbers, addresses and detailed company information. Great for job searching or building client lists. Also contains a listing of 855,000 physicians and dentists in the country. Investment data and reports on more than 30,000 mutual funds, stocks and ETFs. Also includes portfolio management tools. This website is a project of the FINRA Investor Education Foundation. It provides money information for service members and their families, and advice on how to spot and avoid investment fraud. Wide variety of information on small business and entrepreneurial subject areas, common business types, a help and advice section, and provides information on how to create business plans. Library staff developed this list of local resources for growing your new or existing business. Articles from scholarly journals. For college level and up. Adult Core Skills center helps adults achieve their personal, education and career goals by offering resources to help them improve their basic skills in reading, writing, and math, and prepare for the U.S. citizenship exam. Getting into college is an important step to building a strong future. First, you must do well on your college admission tests and write a personal essay that highlights your special talents. Use this center to get the resources you need to achieve your college preparation goals. Practice tests for the SAT, ACT, AP Exams, TOEFL, PSAT/NMSQT and THEA. Earning a high school equivalency credential can open the door to better income, a more fulfilling job, and a college education. If you are preparing for the GED® test, HiSET® or TASC exams, our practice tests, interactive tutorials, and eBooks will help you reach your goal. Get online job and career coaching, resume assistance, and interview practice. Lynda.com helps anyone learn software, technology, creative, and business skills to achieve their personal and professional goals. Requires valid library barcode and PIN to use. TechBoomers.com is a free educational website that teaches people with limited computer skills how to use the most popular websites and tools on the Internet, including social networks. Discover the leading knowledge-building resource that is universally trusted for accurate and age-appropriate content in Spanish. Un excelente recurso digital en español que ayuda a enriquecer el aprendizaje de los estudiantes de primaria y secundaria. Cientos de informes sobre los temas de salud más comunes en Español. Hundreds of reports for the most common health topics in Spanish. The Latino American Experience is the latest version of the first-ever database dedicated to the history and culture of Latinos. ABC-CLIO is an award-winning publisher of reference, contemporary thought, and professional development content, created to help students, educators, librarians, and general readers of all ages by delivering the most current scholarship and perspectives on the Latino American experience. Mango prepares learners for realistic conversations and strengthens everyday communication skills in over 70 world languages. Mango is available through your internet browser, Apple App Store, and Android Google Play. Aprenda más de 50 idiomas. Francés, Vietnamita, Ingles y más están disponibles para hispanohablantes que quieren aprender. Comprehensive Spanish-language database offering content from encyclopedias, full text for over 100 reference books, health reports, dozens of general interest magazines and health reports and a Spanish-English dictionary. Social Security online. Retirement benefit information, get forms or replacement cards, apply for disability and more. Auto repair information for import and domestic cars and light trucks, 1982-2012.AVAILABLE AT CENTRAL BRANCH ONLY. Practice taking the DMV driver’s permit test. Tests are available for cars, motorcycles and the CDL. Also available in Spanish. Biographies of famous people around the world, past and present. The go-to site for research-offering thousands of up-to-date, curated, and curriculum-relevant articles, images, videos, audio clips, primary sources, maps, research tools, recommended web sites, with three separate reading levels. General purpose encyclopedia offering articles useful to children, students and adults. History Reference Center® is the world's most comprehensive full text history reference database designed for secondary schools, public libraries, junior/community colleges, and undergraduate research. A historically rich collection of hundreds of thousands of classic and contemporary poems, as well as short stories, biographies and authoritative essays on such topics as poetic forms, movements and techniques - including contemporary content from the finest publishers. Pro and con articles, background information, and research guides on 250+ controversial issues. For high school level and up. LearningExpress Library features a School Center and more! Science Reference Center™ is a comprehensive research database that provides easy access to a multitude of full-text science-oriented content. Are you preparing for a professional exam? Are you curious about a particular occupation or looking to improve your workplace skills? Prepare for an occupation exam in social work (ASWB), civil service, law enforcement, teaching (CBEST), and more! Choose the Career Preparation Center and begin your path to a bright future. Find a career match, explore occupations, search for jobs and internships, and tools to get hired. Browse the career library and college finder. Using animated games and puzzles, kids learn the fundamentals of math and reading, in preparation for elementary school, and are introduced to art, music, science, and social studies. Fresno County Public Library's 24-Hour, Dial-A-Story is a great way for children ages 3 to 7 to hear a free and fun story . 600-TALE (8253). Science information for homework and general interest for kids aged 10-16. ScienceFlix is curriculum-driven, the content is divided by reading levels, and it has interactive features and intuitive navigation. This resource or parts of this resource may NOT work with Internet Explorer. Pronunciator offers language learning courses taught in English and over 50 non-English languages. Learn another language from Spanish, English or a host of other languages. Full-text articles from 1,700+ U.S. newspapers including local news, editorials, announcements, obituaries and other sections. Family history research. AVAILABLE AT LIBRARY BRANCH ONLY. Search more than 30 years of Fresno history with the Fresno Bee Collection. Coverage from 1986 through today. Explore current and archived issues of the Fresno Bee with full-color newspaper pages and individual articles. Articles from magazines, newspapers, books, and primary sources on a wide range of subjects. For high school level and up. Selected full text from a collection of over 1,000 regional, national, and international newspapers; also includes full text television & radio news transcripts. Thousands of images from the San Joaquin Valley & Sierra Foothills Photo Heritage Project. The San Joaquin Valley Digitization Project image collection consists of photographs selected from the collections of the nine public libraries of the San Joaquin Valley Library System, as well as the collections of museums and individuals in their communities. The photos were selected mainly for their historical interest. They represent various aspects of life in the San Joaquin Valley and the Sierra Nevada foothills; in the counties of Kern, Tulare, Kings, Fresno, Madera, and Mariposa. The photos date from 1850 to 2002. LearningExpress Library features Popular Software Skills Center and more! For a directory of these resources by subject, start at Online Resources Subject Guide. Last updated April 15, 2019 . Copyright © 1997-2018. Fresno County Public Library. County of Fresno.